​Your first meeting is FREE! 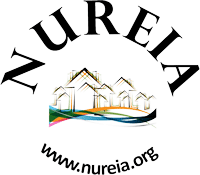 So don't hesitate to join us and see how the NUREIA can benefit your investing - Then help support the association through membership or become a sponsor! Annual Memberships cover your access to all meetings/events - both in Logan and Ogden - for 12 months! Annual members also get access to the Member Archive: A members-only repository of video and audio recordings of previous meetings and other multimedia/presenter files. Entrance to both the Logan and Ogden meetings and other events for 12 months from the time of purchase for 1 person. Entrance to both the Logan and Ogden meetings and other events for 12 months from the time of purchase for 2 people.